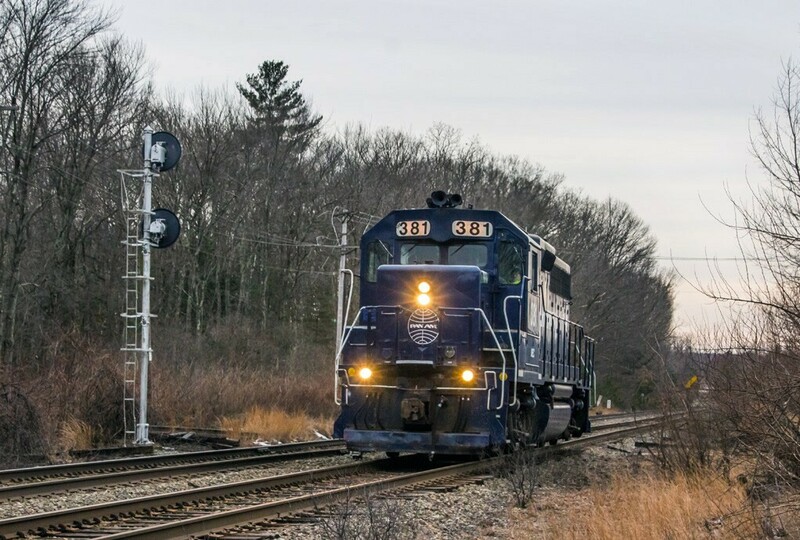 EDPO has gone and LA-1 crosses from the #2 track to the #1 at CPF-273 Plaistow,N.H. to return to his home terminal. Photographed by David S.Hutchinson, February 6, 2019. Added to the photo archive by David Hutchinson, February 6, 2019.